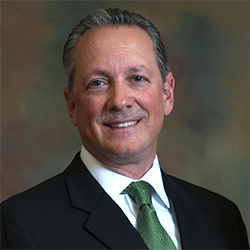 John Chiacchiero is a Managing Director and partner of Oak Advisors, LLC. He received his Bachelor of Arts in Finance from Mount Union College in Alliance, Ohio. He also holds a Master of Business Administration from Miami University in Oxford, Ohio. John, a licensed Investment Advisor Representative, has served as a member of the Trust Committee of the South Carolina Bankers’ Association and as a member of the Robinson-Grant accounting firm Advisory Board. He is a member of the Community Foundation of the Lowcountry’s Professional Advisor Society and the Technical College of the Lowcountry Foundation Board where he serves on the Finance and Nominating Committees. John also serves on the Vestry of St. Luke’s Church on Hilton Head Island. In 2005, with business partner Michelle Myhre, CFP®, he co-founded Oak Advisors, LLC which provides financial planning and investment management. 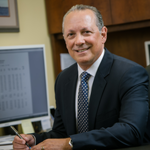 He served as Vice President/General Manager of Lighthouse Investment Advisors on Hilton Head Island and as a university lecturer with the University of South Carolina-Beaufort and HOSTA College in Switzerland. He continues to serve the University of South Carolina – Beaufort as an adjunct professor. In 2003, he was featured in the book, The Trust Equation, regarding his views on the Wealth Management Process. He has held management positions in service-oriented businesses and is the former Director of Training for Hilton Hotels. Originally from Ohio, John moved to Hilton Head Island in 1984.